Do you ever ask yourself…? 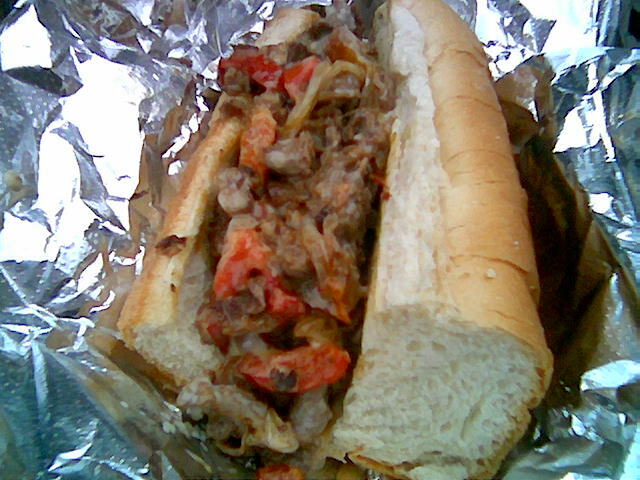 So if you’re on Church Street in Burlington, hankering for a Philly Steak and can’t make it to Tommy’s City Grill, where are you going to go? 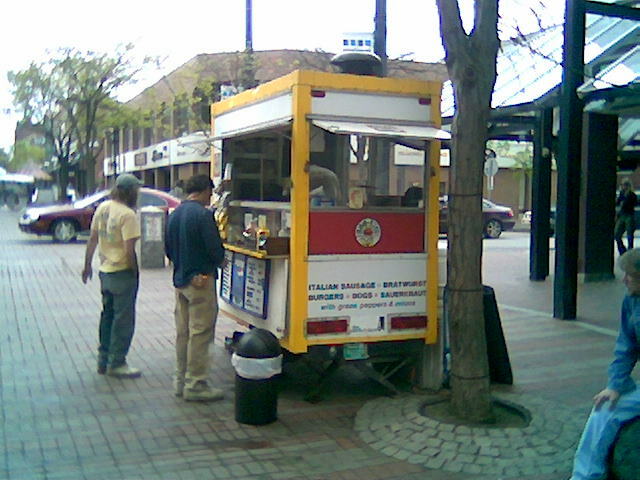 The answer lies in a food cart, named “Boo-kies”. Thankfully due to having a roof over his head, he was available just after a rainstorm while other food carts were no where to be seen. 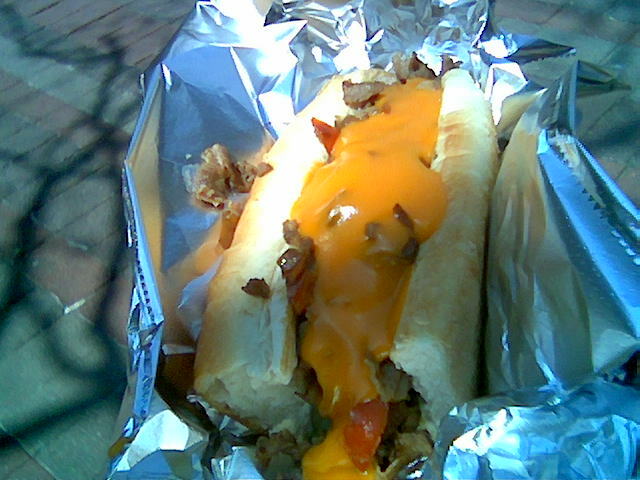 The default configuration of the Philly Cheese Steak comes with the traditional Cheez Wiz (wit Wiz). I prefer my philly’s with real cheese, Boo-kies told me they had “Swiss-American” which they use on their burgers. The meat was frozen, but nicely marbled, so I suspect this may be the semi-traditional shaved Ribeye Steak. Onions, green AND red peppers, and finally a decent roll, that was slightly toasted with some butter on the grill. At $4.75 the Philly is a little pricey considering it’s half of a full sub, but it’s one of the better cheese steaks around town. I recommend waiting more than 2-3mins to eat it, as you will burn you mouth as I did. I also hear the burgers are awesome (the hotdogs are not bad). Food carts are cash only of course. This entry was posted on May 16, 2008 at 9:43 am and is filed under Uncategorized. You can follow any responses to this entry through the RSS 2.0 feed. You can leave a response, or trackback from your own site. Which? The cheez whiz version?